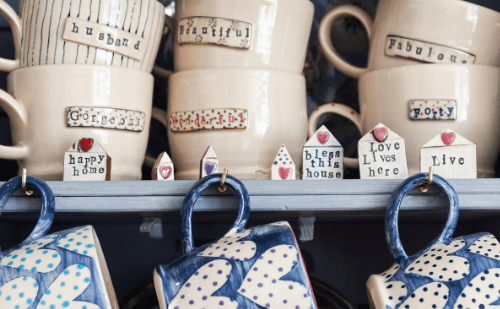 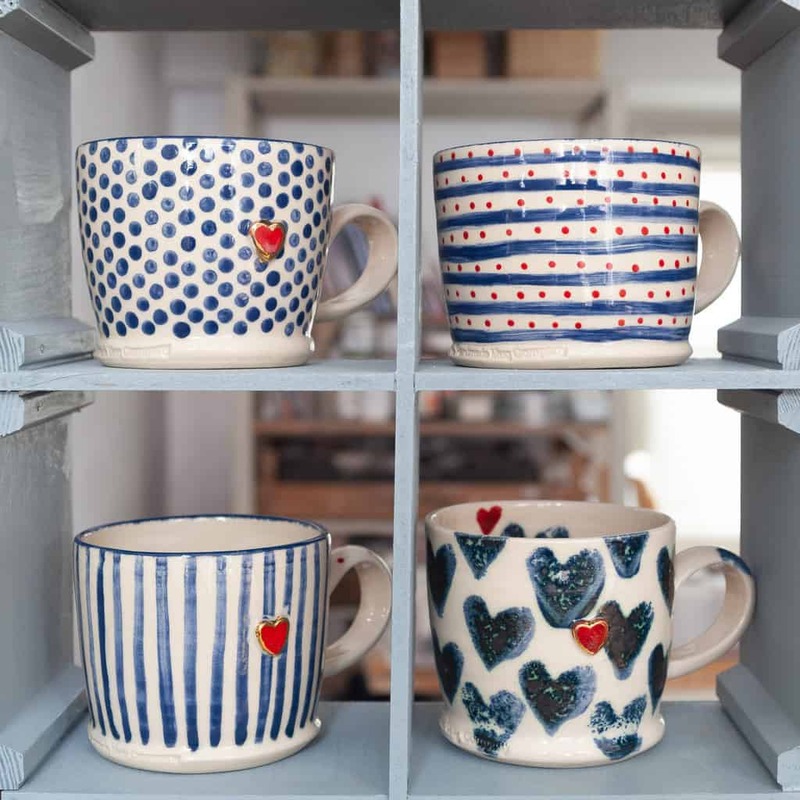 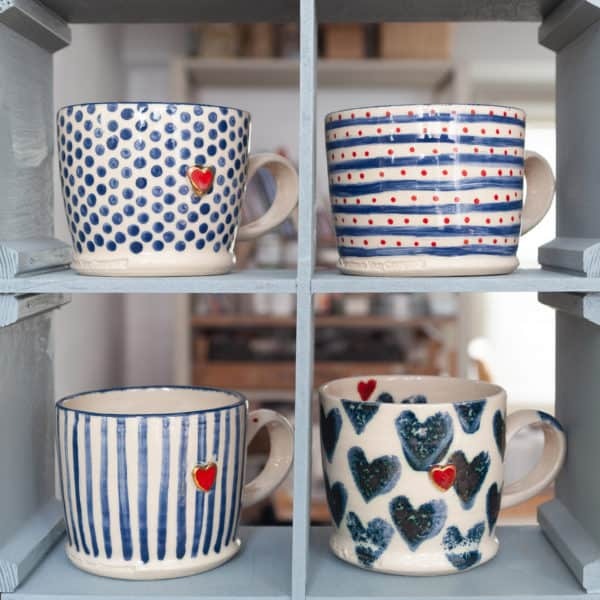 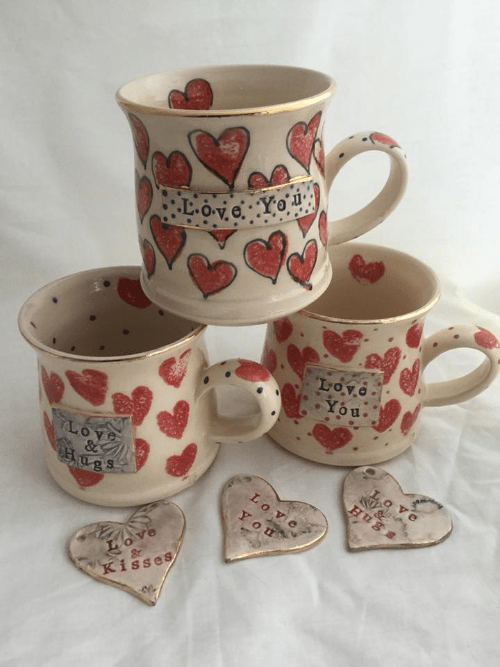 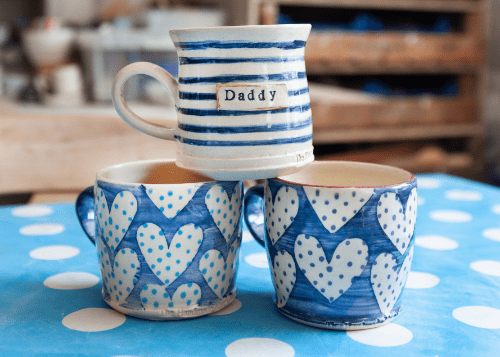 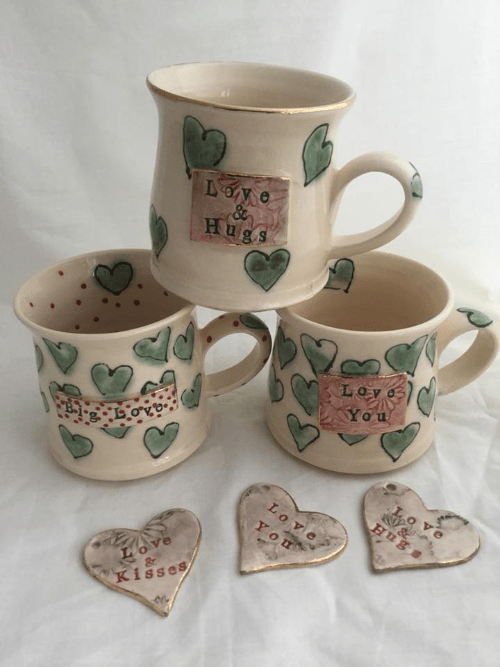 The Handmade Mug Company has an ever-changing range of beautiful hand thrown and decorated bespoke mugs, that are available to buy if you see something you like, or can be personalised as you wish. 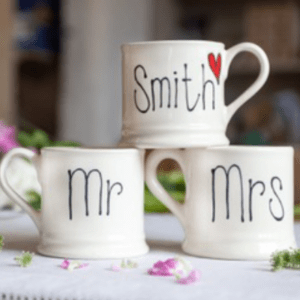 Contact Lisa to check availability and to discuss your requirements here or come along to the shop to see the full range. 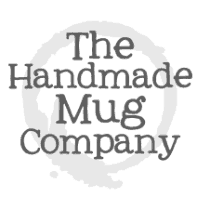 As is the nature of handmade, no two will ever be identical but they will all be totally unique. 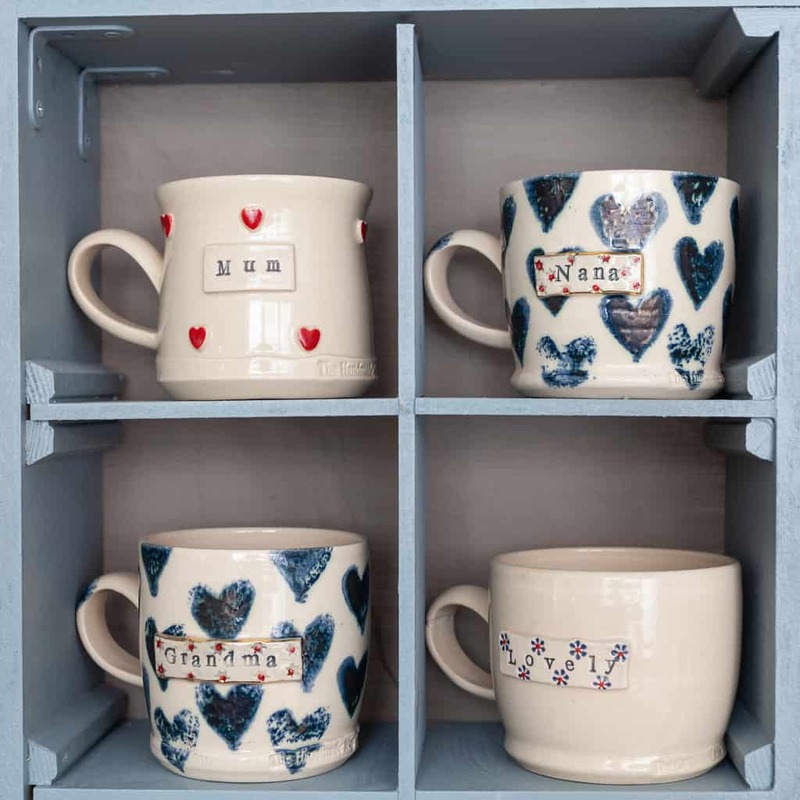 A standard mug comes with a plain or patterned background with an imprinted name and a small raised red heart or yellow star on the opposite side. 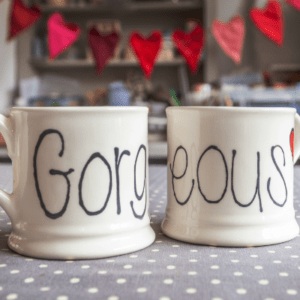 Options are 1 or 2 Imprinted Words with a Heart or Star with Gold or Silver around the Word and Shape. 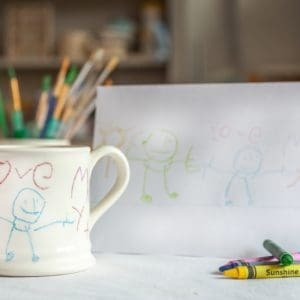 Please state – Background Pattern, Mug Shape, Design etc.